Details for The Rhythm of the Bann festival Coleraine have been launched. 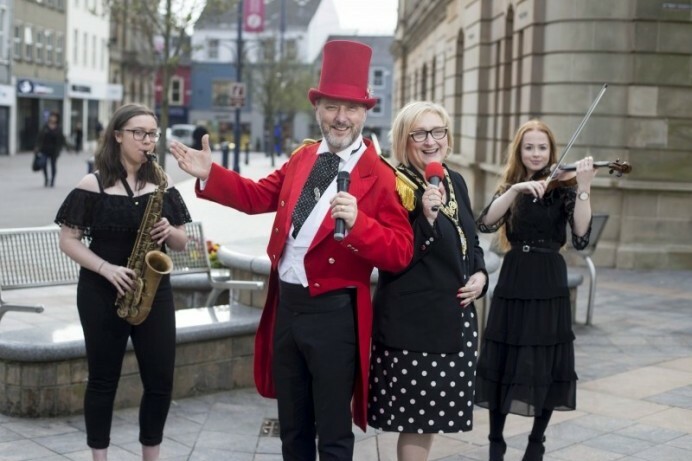 The two day programme of musical extravaganza will take place this April on the 26th and 27th in various venues throughout Coleraine town. Peter Corry of Peter Corry Production states: Rhythm of the Bann 2019 will offer international performance and workshops that will not only be engaging but educational and of a very high standard with high quality international coaches and performers involved in the festival. On Friday evening St Malachy’s Church will be home to three wonderful choirs. Adoro, Cantemus and Dalriada Chamber Choir. Adoro has performed at many prestigious events in Northern Ireland including services of thanksgiving for HM The Queen for the Diamond Jubilee and 90th Birthday. Local Choir Cantemus sing a mixture of ancient & modern repertoire, from Bach to Stopford; Wesley to Parry - and the Dalriada Chamber Choir voices blend beautifully to deliver chilling harmonies, rousing emotions and tapping toes. Local violinist Jasmine Morris a member of the Ulster Youth Orchestra and former winner of the Robert Lewin Scholarship will also add to this musical evening.